The Orange County Democratic Women 2014 Gala Dinner was held on Saturday, April 26, 2014 at the Meadowbrook Lodge in New Windsor, NY. 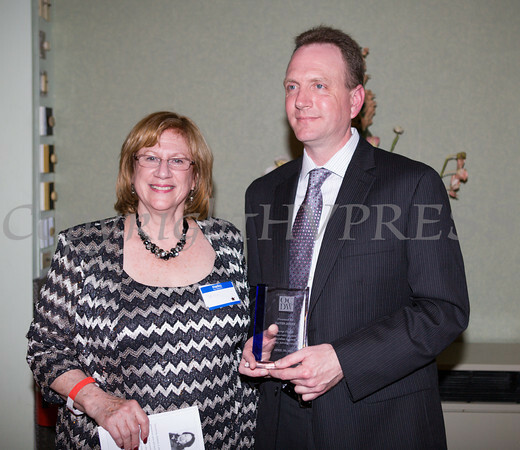 Former OC Commissioner of Social Services David Jolly received the Geraldine Ferraro Public Service Award from OCDW President Willa Freiband at the Orange County Democratic Women 2014 Gala Dinner on Saturday, April 26, 2014 at the Meadowbrook Lodge in New Windsor, NY. Hudson Valley Press/CHUCK STEWART, JR.